The fall season is in full swing, and what better way to celebrate than by decorating our homes?! 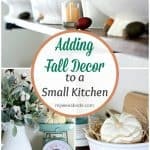 Today, we’ll be doing just that, by adding fall décor to a small kitchen… a ‘wee’ kitchen at that! 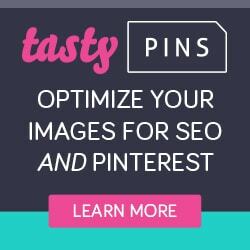 😉 But, what’s more, these tips can be used for any size kitchen! What’s your favorite season of the year? It’s hard to choose, isn’t it? Winter is lovely, with its cold temps and icy colors (and CHRISTmas). And spring has such gentle breezes, moderate temps, and gorgeous flowers. Summer pounces on us with its stifling heat and sand in your car (LOL! Sorry…Can you tell I LOVE summer! NOT!) And then there’s fall… Autumn (it even has TWO names) has temps that eventually cool down with the promise of cozy sweaters, super-fun crafting, and so many ways to decorate! Hmmm, wonder what season this girl leans more towards? 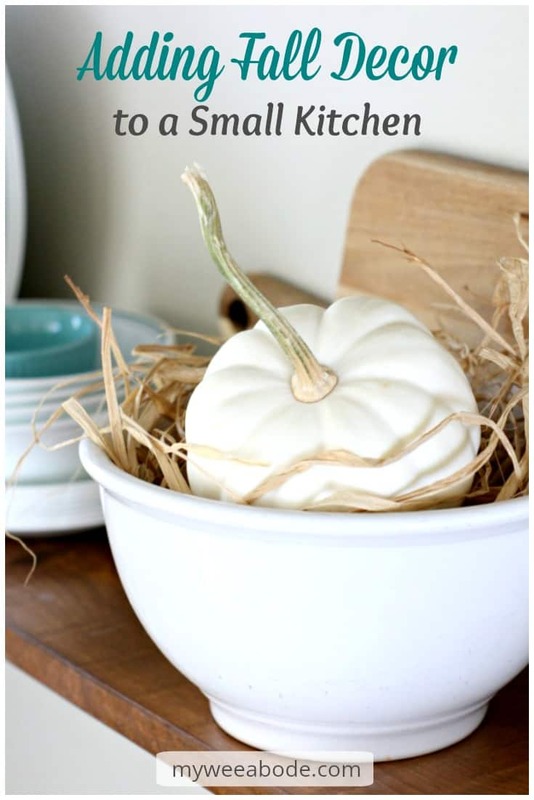 Check-out my most fave DIY fall project for this year HERE. Living in a small home, apartment, or tiny house often limits the space for decorating. But, if you take a little time to plan, the challenge can actually be quite fun! One of the FOUR rooms that I LOVE to decorate in My Wee Abode is the tiny kitchen, especially the corner that has the open shelving. Let’s take a look at the elements that add autumnal touches to this tiny space. Take a look at how the kitchen was decorated this past spring! Because the kitchen is only a total of 100 square feet, keeping the area ‘light and airy’ gives the appearance of being larger. Since the cupboards are dark (I’m still trying to get the guts to ask my landlord if I can paint them), adding a white portable island, a light rug, updating the counters to faux marble for under $50, plus adding some bright hardware, has helped to keep this small space bright and cheery! Keepin’ it real…Your eyes are not playing tricks on you… some of these photos are a bit blurry… Using a new lens for the first time! There’s that photography learning curve… again! 😉 Thanks for being patient with me! 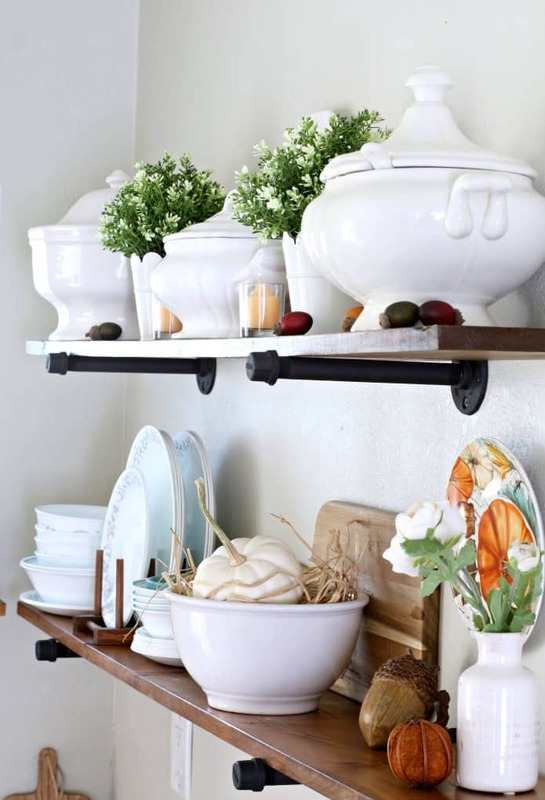 Open shelving is the perfect stage for adding fall décor to a small kitchen. Installing dark shelving, to tie-in with the cupboards, helps to bring continuity to the kitchen. If white open shelving had been used, it may have looked like a battle was being fought with the cupboards, ya know? 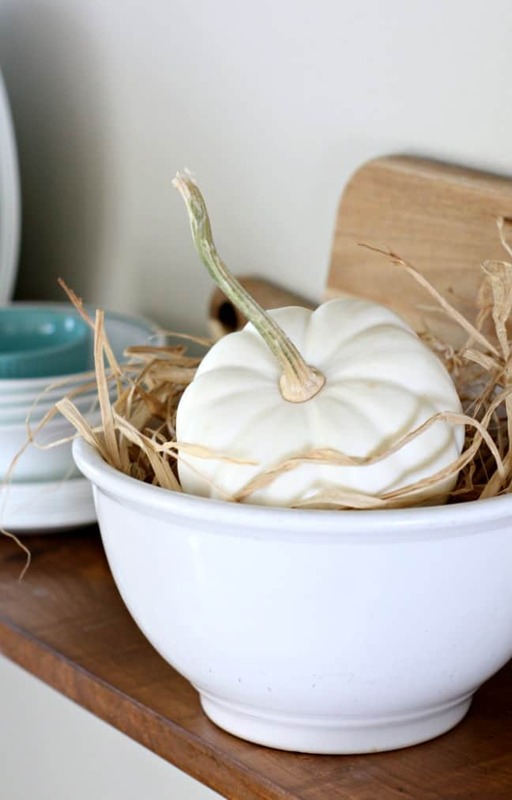 To keep this fall décor looking bright and “clean”, I used all white dishes. Soup tureens, pitchers, ironstone bowls, and my everyday dishes give this autumn look a neutral background for the pops of color and texture that were added next! Using pops of color brings in the unexpected and breaks up the neutral tones that can sometimes look monotonous. 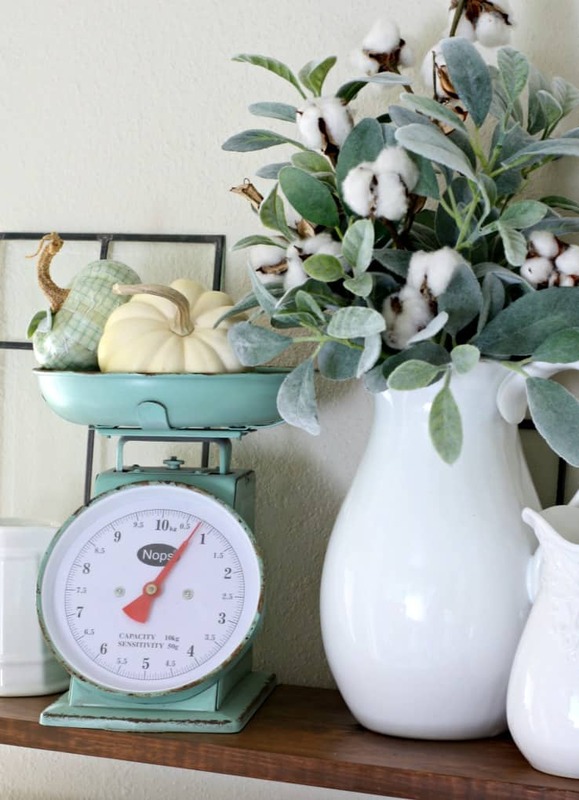 A green vintage-look scale, peach candles, and a ceramic plate with all the fall colors added some extra beauty to this tiny space. Oh…and by the way, black is a color! And adding in just a bit, to an otherwise light and neutral area, can ‘ground’ the whole look. 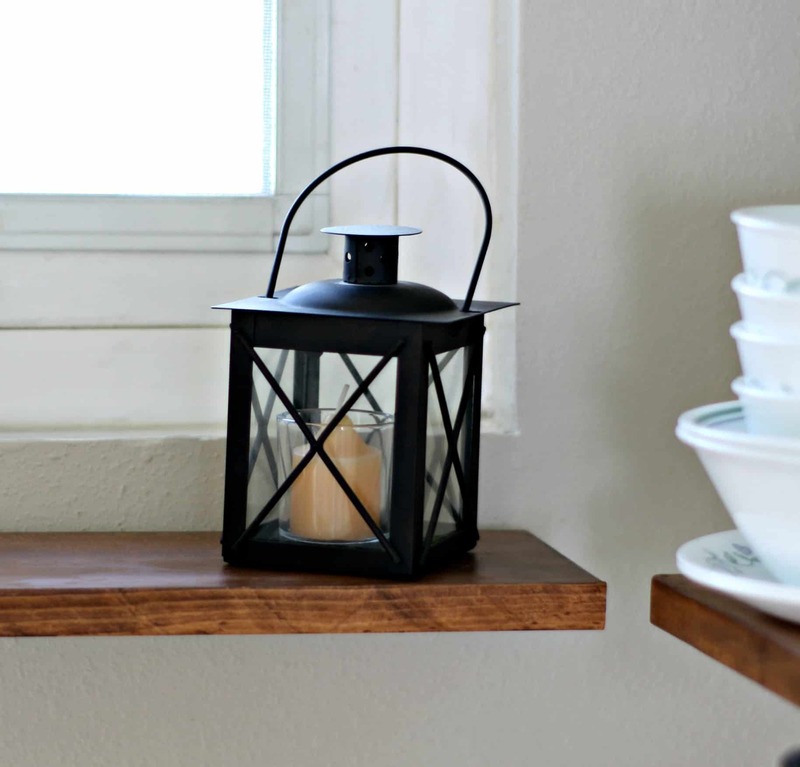 These mini lanterns were added at the very end… what do you think? This is probably my favorite. Bringing nature indoors is so special, don’t you think? Faux or real, it just gives a space some extra ‘umph’. 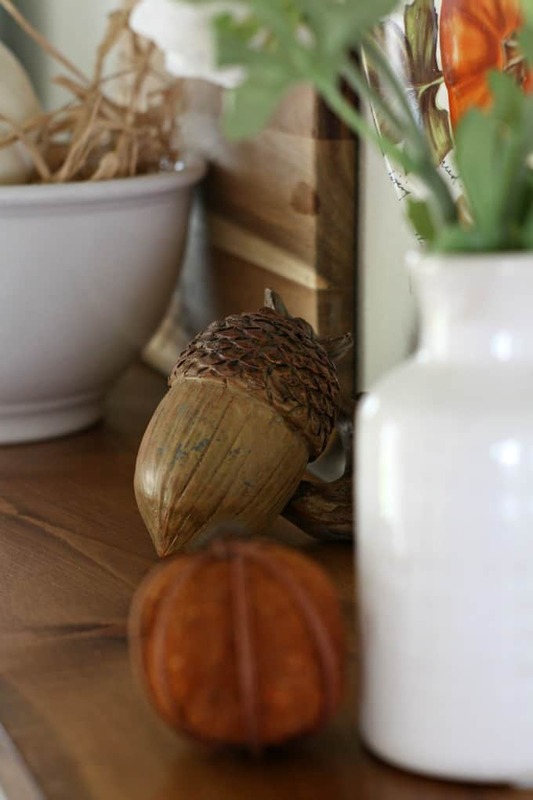 And this wooden acorn is one of my little treasures… I just love acorns! 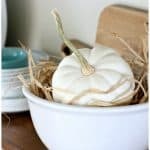 Cotton stems and Lamb’s Ear (left over from my DIY Topiary), and MORE pumpkins… decoupaged and real! 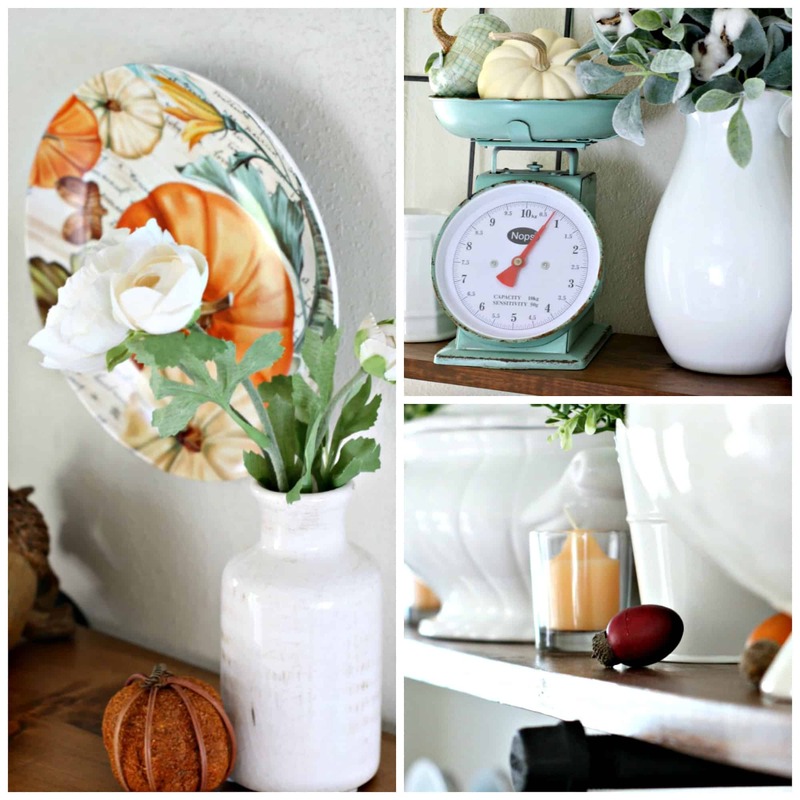 What are you using to decorate your home with for fall? Are you getting ready for Thanksgiving? Please share what you are up to in the comments! I love reading them… it helps me to get to know you! And, I’ll answer, too! I promise! You have accomplished nice things in what is no doubt a difficult area to decorate. We do what we can with what we have. No one’s home is perfect, but you have some very pretty accessories. Good morning, Pat! Thanks for dropping in! You know, when I installed the shelving, I thought afterward, “I may have needed to use thicker boards.” 😉 So, yes, I believe there may be a wee bit of bowing going on. =/ So, watch for my new shelving update post! 😉 Have a wonderful weekend! You might be able to level it with a support near the end of the shelf. I wondered that, too, Julie! I’m glad it wasn’t that your new lens is a fisheye lens, Lol!!! Maybe you can pick up some thicker 2″ boards at some point ~ Lowe’s has been great for me about cutting boards. I am liking Texas A LOT for that since in California they made you pay for it. Love this post and all the white… sigh! The soup tureens are lovely!!! p.s. Three pumpkins made so far… Just need stems! So funny! LOL! The boards do have a VERY slight bend… I had already planned on getting 2 inch boards, but I will get them at Ganahl Lumber. Even the pine at Ganahl is just WAY more lovely than at Lowe’s and Home Depot. And the price is very competitive. They so many cuts for free, and then the even rip and cut for a very small charge. Totally worth it! 😉 Very fun about the pumpkins! Can’t wait to see them! Are the ‘tricks’ working for you? I get to go harvest pumpkin stems from our local pumpkin patch on Thursday morning! Woot! All free! Such prettiness for such a small and challenging space. Great job Julie. I wondered the same thing about that shelf…so I went to your post from last year and it looked a bit slanty in some pics but more level in others so wondering if it is camera angle? REGARDLESS, I love what you did with your space. Hollidays are coming up whether we like it or not….or whether we are ready or not and when we spiff up a bit…it makes us feel wonderful. Thanks, Kari… Yeah… when I installed the shelves, there were only a few tutorials that were using the 2″ thick shelving. Everyone else seemed to be using the 1″… but they weren’t putting heavy appliances on them! 😉 It will be relatively easy, and inexpensive, to replace the wood, as the brackets were the most costly and labor-intensive. So, I’ll just re-do the shelves… sooner than later, it would seem! Easy post! (I was much more worried about the blur of the photos with me not understanding my new lens! Silly me!) 😉 Thanks for coming by! Hugs! I just love your kitchen, it’s so inviting! The colors are fantastic. I love this time of year. Thanks, dear friend! You are such a wonderful encouragement! Love you, and see you tomorrow, Lord-willing! BIG hugs! Julie your shelves look great. I love how you have them styled and such a great way to add storage space to your wee abode. Your soup tureens are so lovely. I love ironstone and might have to start looking for those when I’m antiquing. Your fall touches are perfect Julie! I love the lambs ear and cotton. Best example I have seen for use of cotton. Great job all around. Thank you, sweet friend. The tureens have not been easy to come by for the price I wanted to pay. Two have been Goodwill finds, and the other at a very large consignment market. 😉 Let me know when/if you start collecting! Hugs! 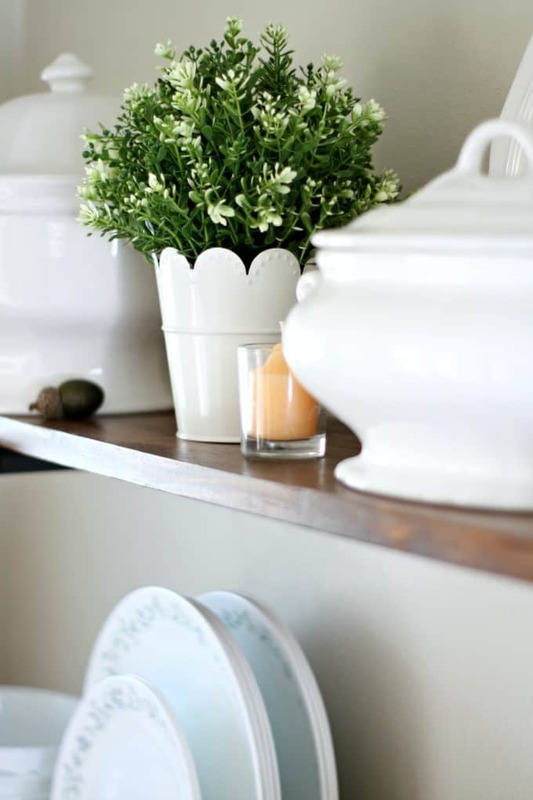 I love the open shelving and your fall styling is simple and adorable. Love the colors, as always! Thank you! You are a wonderful encouragement, as always! Hugs! Julie, you do a great job of utilizing your space in such a tasteful and practical way. I love that you have just the right amount of fall touches without going overboard. Those soup tureens are so lovely, too! Julie, you’ve added just the right amount of fall to your lovely kitchen. It’s a beautiful nod to the season. Thank you, sweet Lisa! You are wonderful… thanks for the love! Hugs! Fall is my favorite! I love all your fall touches. I’m a lover of using white dishes in the fall too. Beautiful! So sweet of you to drop in, and be so encouraging, Sherry (this is the way my mom spells her name!). Hugs and heart! I love the way you’ve set up your tiny kitchen as a great backdrop for any season. Crisp whites, natural wood and black work all year long. And your subtle use of pops of autumn color really work well without overwhelming the room. Thank you so much, Patti. I was definitely going with understated, yet still ‘fall’. Thanks for the love! Hugs, dear friend! Julie I just LOVE your wee kitchen! It is lovely and you really have a knack for keeping it uncluttered and yet gorgeously decorated! Great job. And though I love all the seasons, I am a summer girl and I hate to give it up for the fall, but ahhhhh… what a relief fall is after the blistering summer temps. … and I forgot to say that I am jealous of your stainless trashcan! Mine is black plastic with an ugly white trash bag in it and my Mr. broke the lid so its open …. Well, I am SO glad you liked it! It was a great price at Walmart, in case you need a new one. But, in a larger house, I would def go with something bigger! 😉 And thank you for the encouraging words. Keeping things neat really helps in a small place… But, as you know, after a photo shoot, it doesn’t look like this at all! 😉 Hugs! Your kitchen is charming and full of personality! I too am a fan of white pitchers – because you can use them everywhere for everything! You definitely created a fall feel even without using the traditional fall colors. I am slowly coming around to that, and especially like your coastal-spin on fall! Visiting from I Should be Mopping the Floor. Kristine, thanks for coming by, and for the sweet words. I wish I had more room for white pitchers, and soup tureens! They are so pretty! Hope you visit again! Love your shelving! I was wanting to do something similar in our kitchen but we dint have enough wall space and needed cabinetry. Hi, Pamela… thanks for coming by! 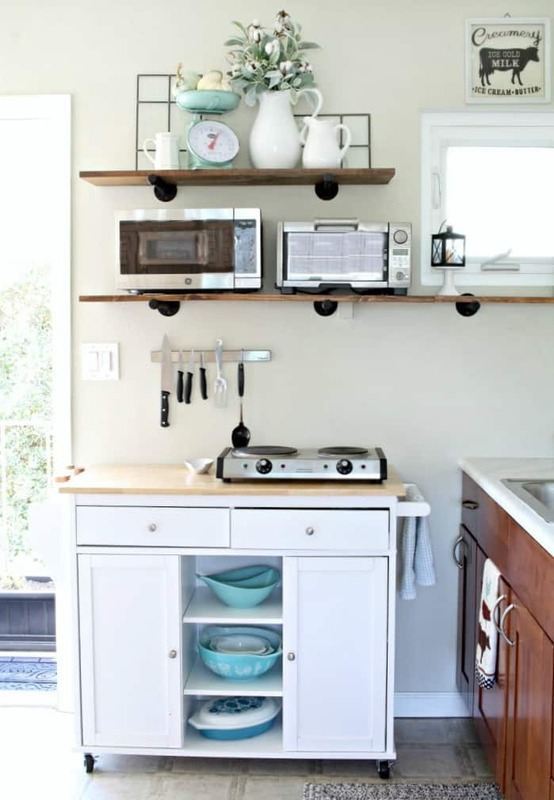 I’ve often seen small open shelving space in kitchens… like above a cart to create a coffee bar. Maybe that’s an option? Thanks for the kind words! Have a blessed day! Thank you, dear Kim! 😉 Yeah… that wooden acorn is from Hobby Lobby… last year’s clearance. 🙂 Hugs, sweet friend! Hi Julie! I love the Fall accents in your kitchen. I’m partial to acorns and ironstone, too. Are the lambs ear left over from your DIY topiary? I decorate with faux greens from IKEA, as well. From a distance they look pretty real! You’ve inspired me to up my decorating game in the kitchen! Hi, Rebecca!!! Yes, the Lamb’s Ear is a definite leftover from my topiary (I should link that, huh?). I’m glad to have inspired you… and I LOVE IKEA, for SO many reasons! (Wonder if I used enough caps in this comment! 😉 ) Hugs, friend! Your kitchen is very lovely! 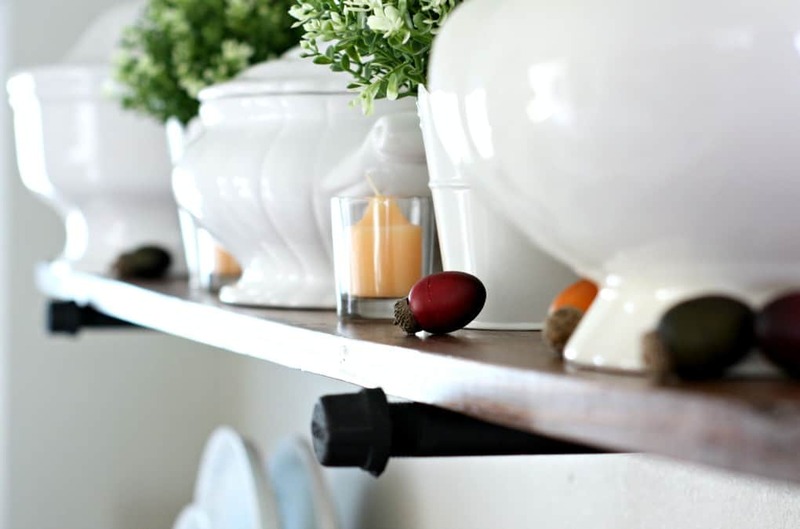 I love how you decorated your open shelves for fall and I really like your acorns! Thank you, so much, Elizabeth… for dropping in and for the sweet words! Acorns are definitely a fave of mine! Hugs and hearts! That open shelving in the kitchen is great, you can switch it out for the seasons! Very pretty! Thanks, Roxanne… I do LOVE my open shelving! Hugs! I love the way you styled the shelves. 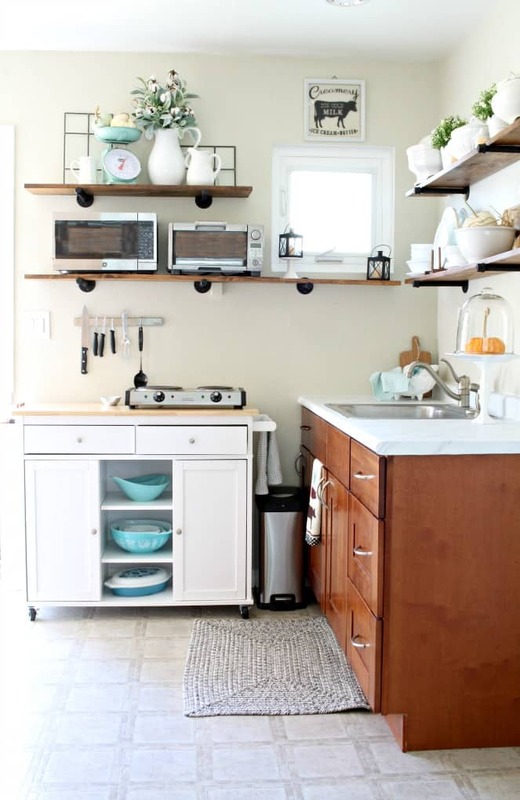 No matter how big or small the kitchen is the open shelves add such charm and personality. Thanks, Debra… and, of course, I agree. Even if you can add a small section of open shelves, I just love it! Thanks for coming by, friend! Hugs! I think your kitchen is beyond darling! Did you get the scale at Hobby Lobby? Love the blue color mixed with fall colors. Happy Fall from Pam in Oklahoma. Hi, Pam! Thank you so much for the lovely and kind words! I actually got the scale at Michael’s, and super clearance. I was a bit giddy over it! 😉 Hope to ‘see’ you again! Hugs and hearts! These are all really great ideas Julie. But those acorns stole my heart. What a beautiful vignette on your shelves!! Oh, I’m glad you like the acorns, Mary. They are so cute, and so affordable (Big Lots find! 😉 ) Hugs, sweet friend! Thanks, Tiffany… and, yes… I have wanted a vintage scale for a long time, but they always seem to be out of my price range. This was a good compromise, and I love it! Happy fall to you, too, friend! Hi Julie, your home looks lovely! Already for Fall. I am so far behind that at this rate I think I ought to just start on Christmas and maybe I will have it done in time! I so get the ‘being so far behind’. I should be working on Christmas crafts, but I have a living room update I need to do still! *runs to go finish paint color post*… Thanks for coming by, and for the sweet words, Lynn! Hugs and hearts! I just love your little kitchen, it has a lot of charm and personality! I love to use white dishes too and then I’ll add pops of green (especially from nature), etc. I love how you said black is a color when it comes to decorating! So true! I love all of these open shelves I’ve been seeing lately. I really should incorporate something like this in my home somewhere! Hmmmm!!! Thanks, Nancy! I always want my home to be cozy. Light and airy, but cozy! 😉 LOL! Hugs, friend! It looks so pretty! You’ve done a great job utilizing a small space and making it look lovely. Thanks so much for sharing! Happy to have found your blog. We have much in common. I too am from CA and lived there most of my life. I love Jesus.. HE gives me breath and I give him praise. I adore tiny cozy spaces (most days). I own a tiny 8’x18′ house on wheels and a tiny 570′ vintage farmhouse in the Appalachian mountains. I blog about both of them on my blog at http://www.ShabbyChicTinyRetreat.blogspot.com . 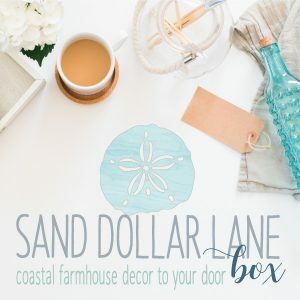 I decorate with vintage finds, and especially love primitive, farmhouse, shabby chic and french country styles. I mix them all up in my little cottage. Your blog is great and I really love seeing what you have done with your sweet 400′ living space. I really like open shelving in tiny spaces. 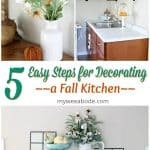 Your kitchen is beautiful all dressed up for Fall. Many blessings. Hi, Tonita! So glad you ‘found’ us, too! 😉 Glad to have found you, as well, LOL! I just visited your site! You have made your wee place a sanctuary, haven’t you?! I’m definitely going to explore your blog more, and look forward to getting to know you more, as well! It’s always wonderful to discover a new sister in the Lord! Praise Him! He is always good! Hugs! Oh, thank you, Kippi! I do love white dishes, and the scale was something I had wanted for a long time, and finally found one that was in my budget! 😉 So glad you came by! Hugs and hearts! I love how you have decorated you small kitchen. I especially love your vintage scale. Everything looks so perfect. 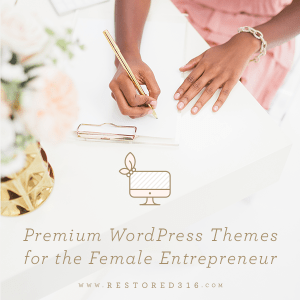 Thank you so much for the feature, Bev! I stopped in and linked for this week! Hugs and hearts!